While Istanbul is a city with the population of 13 million people, its inhabitants are still very much connected with their Anatolian roots. The majority of residents still prefer to cook their meals at home. While the words local, organic, sustainable and seasonal are catching on in America, in Turkey that has always been the way of life. We are lucky here in Istanbul to have so many wonderful neighborhood bazaars. Here are some of my favorites. Located in Istanbul’s most conservative neighborhood, the Çarşamba Pazar or Wednesday bazaar is the largest open-air market in Istanbul. Spanning 17 streets with over 5000 stands the bazaar has everything from fresh fruits and vegetables to textiles, kitchenware and clothing. 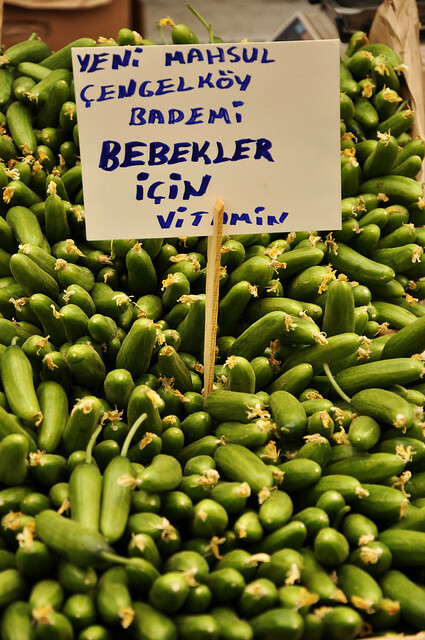 Visitors to this market can catch a glimpse into the lifestyle of the more pious Turks. Many of the shoppers are dressed in traditional Muslim fashion such as the black covers know in Turkish as a çarşaf. These ladies are buying kilos of vegetables at a time so a stall keeper will be pretty confused if you try to buy just one of something. So this wouldn’t be the place to buy a handful of olives to snack on. Everyone is welcome but if you do plan on going dress appropriately and be prepared for they will be as curious about you, as you are of them! This Wednesday bazaar is located in the more posh suburb of Yeşilköy which is literally translated to mean green village. If it is a more relaxed market experience you are craving, this is the bazaar for you. With over 2000 stalls you can find everything from fresh fruits and vegetables to flowers, clothing and electronics. However the main appeal to this bazaar are the remarkable fake silk scarves, knockoff handbags, and brand name clothes. You can also get makeup such as Mac and Mabelline at 50% reduced cost. The Beşiktaş Saturday bazaar is a favorite among thrifty shoppers looking to pick up factory seconds. Located in a multiple storied parking garage, the first floor is home to stalls of fresh fruits and vegetables. With 400 stalls this bazaar is one of the smaller ones in Istanbul. It is however the second floor that makes it a standout. People from all around descend upon this market for apparel and accessories as well as housewares. Unique jewelry and blue jeans are among the most popular wares. After you have found your treasures step out back and enjoy a cup of çay or some delicious village gözleme purchased from one of the makeshift food stalls. This Sunday bazaar is the market to top all markets. If you are a foodie visiting Istanbul and you only have time to see one place on the list, make it this one. 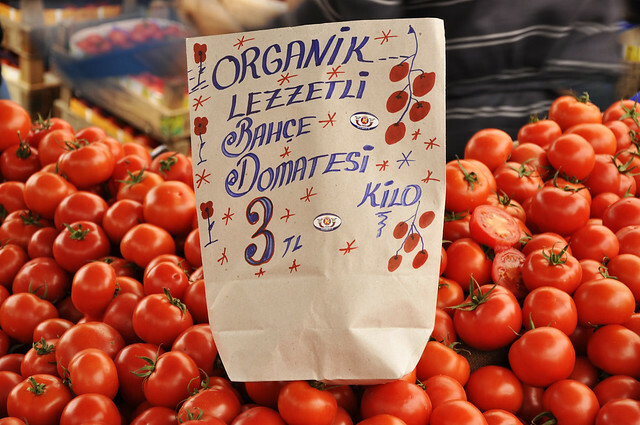 This is the farmers market to Istanbul’s top chefs as well as discerning housewives alike. 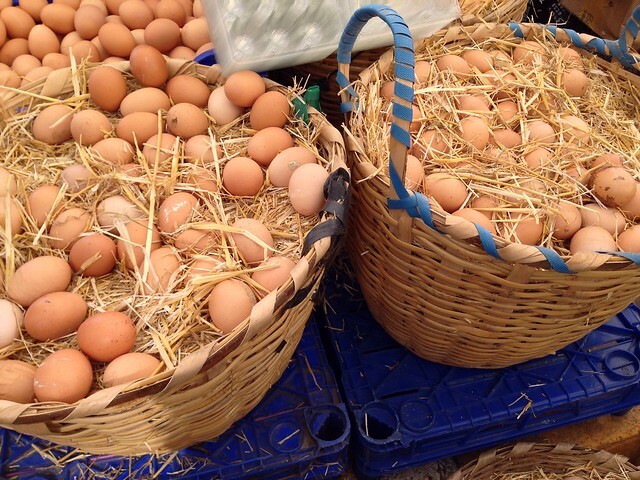 The reason is simple for this is the Black Sea market. 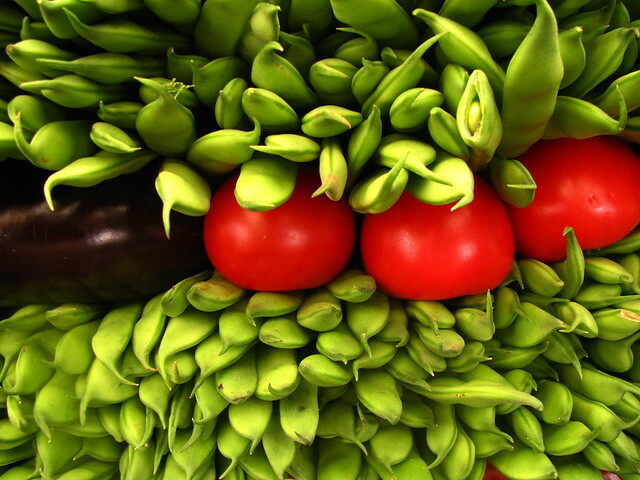 The Black Sea is legendary among Turks, this area produces some of the best fruits and vegetables in Turkey. Depending on the season you may find chestnuts and hazelnuts or green baby plums and figs. 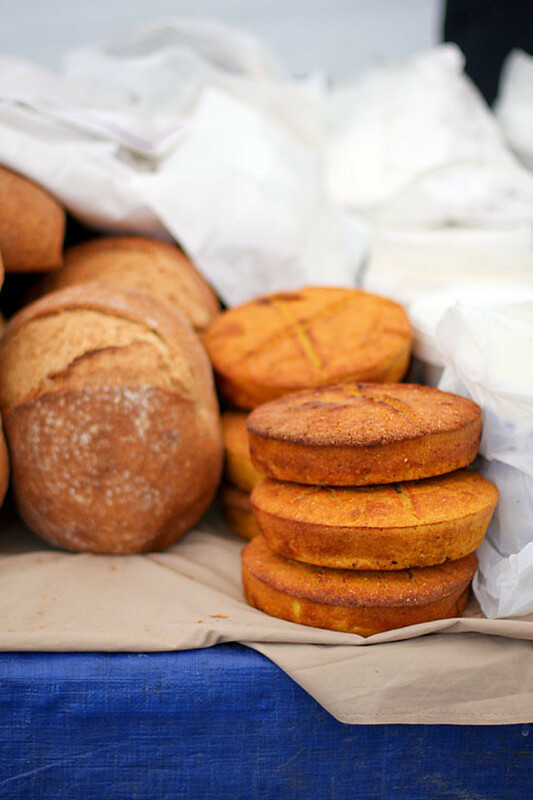 The area is renowned for its corn and corn flour but you can also purchase scrumptious corn bread baked in a villager’s oven. 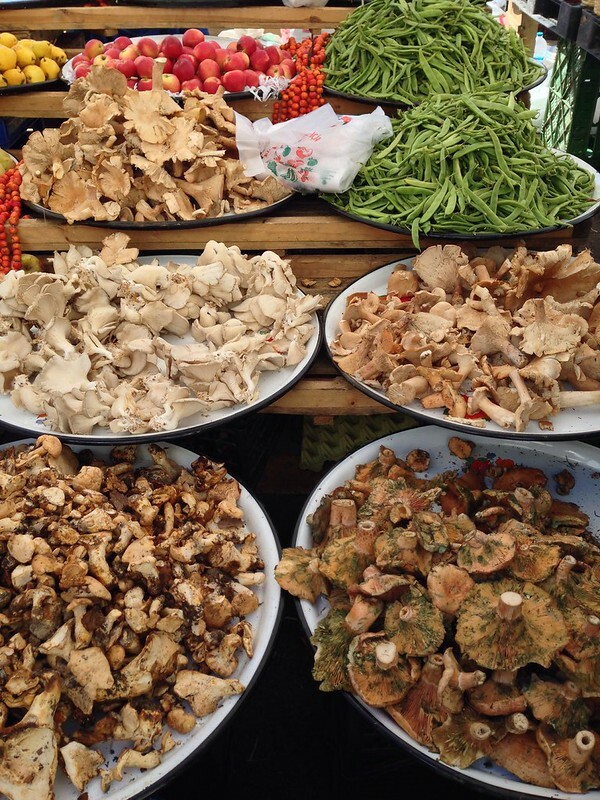 Some of the best mushrooms not found anywhere else are found here as well as fresh butter, gorgeous Kastamonu cheeses and the famed Black Sea anchovies. Be sure not to miss out on the plump bulbs of garlic from Taşköprü. I don’t use anything else in my cooking. This is the place to buy a handful of olives, a wedge of cheese and some delicious fresh bread for an afternoon picnic or if you come early enough, breakfast! If you are making a day in Kadiköy, the Tuesday bazaar is worth a visit. After you get off the ferry you will need to catch a taxi that should run you about 7 to 10 lira. Head on over to this bazaar established in 1969. It has now grown to about 4000 stalls and is remarkable for its large number of women stallholders. It is also remarkable for its large number of women shoppers. Get ready to partake in the madness, roll up your sleeves and don’t be afraid to throw a few elbows with the best of them! Tarlabaşı is a neighborhood that has been written about and romanticized for its winding crooked streets and its brightly colored laundry strung high above the alleys. It has been feared for its high crime and been the home to many of Istanbul’s struggling minority. Currently undergoing a gentrification the Tarlabaşı neighborhood has more than its fair share of struggles. However all of that is put aside on Sunday when people from all walks of society emerge upon the Tarlabaşı bazaar. Located just a short walk from Istanbul’s popular İstiklal street the Tarlabaşı bazaar is the cheapest bazaar around. It really gets going about 12 o’clock. I would recommend checking out this bazaar as it may not be around for much longer.